Alex Paalborg is an associate in the Finance & Acquisitions Department of Davis Graham & Stubbs LLP. He advises clients on data privacy and security, technology, intellectual property, commercial transactions, and corporate law matters. Prior to joining DGS, Mr. Paalborg advised tech entrepreneurs and startups at a boutique full-service technology law firm in Austin, Texas. He began his career in the public sector, working on legislative, policy, and enforcement issues involving technology and consumer protection. During law school, Mr. Paalborg externed for the Honorable Ignazio Ruvolo of the California Court of Appeals, First Appellate District, and the Honorable Laura Taylor, chief judge of the U.S. Bankruptcy Court, Southern District of California. Mr. Paalborg is actively involved in pro bono work and local politics. 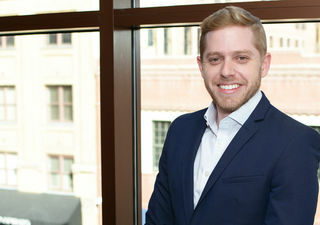 He is a member of the International Association of Privacy Professionals (IAPP) and serves as the mentorship co-chair of the New Leaders Council, Colorado chapter. In 2018, Mr. Paalborg joined the board of directors of Kidstek.